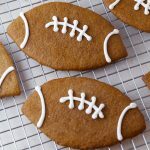 Football Shaped Gingerbread Cookies are large football cookies with the flavors of everyone’s favorite Christmas cookie. They’re even gluten free! Football season is here! Are you a football fan? What’s your favorite team? Do you love watching college ball or the NFL games? 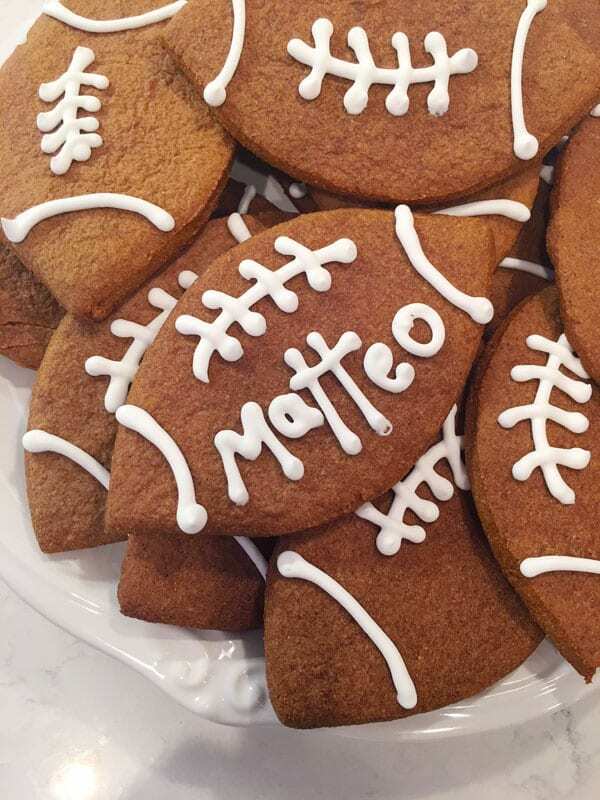 I love making themed treats and thought it would be fun to make football cookies. 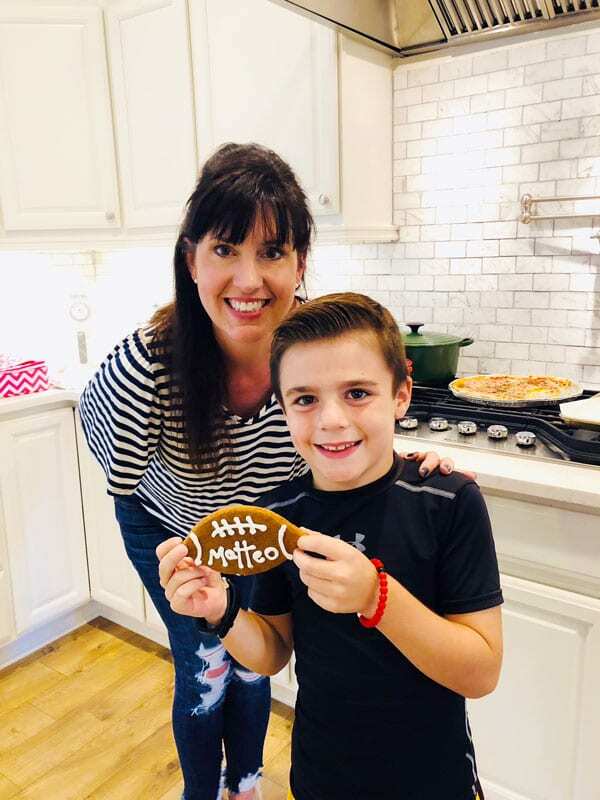 We had a BBQ last weekend and one of our special guests was our sweet cousin, Matteo, who is a big fan of football and is also celebrating his 9th birthday soon. 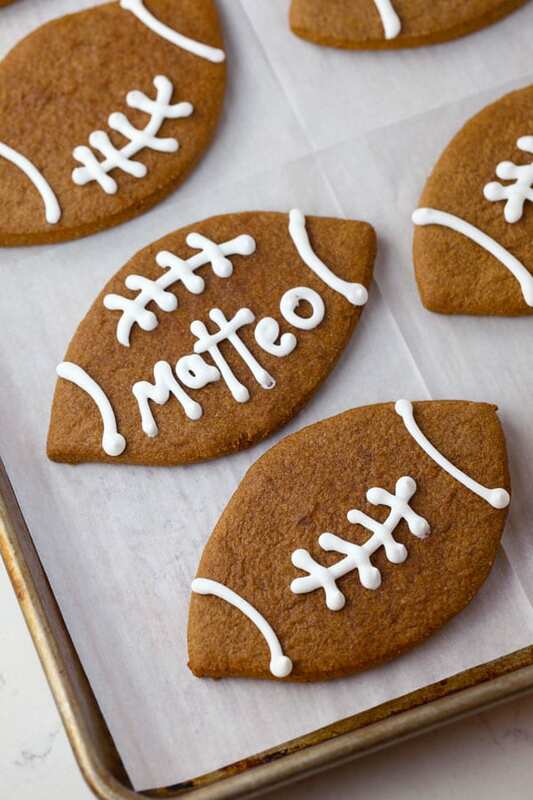 I made these Football Shaped Gingerbread Cookies just for him! He and his family recently moved from Arizona. We’re so excited to have them here! Welcome to Georgia, Bill, Jenny, Gabi, Sammy and Matteo! I actually got the idea from a movie. 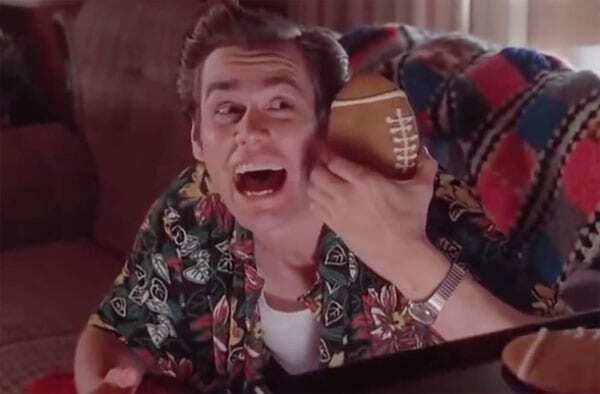 Have you seen Ace Ventura: Pet Detective from 1994 with Jim Carrey? It’s a funny movie and in one of the scenes, he is served these extra large football cookies by a nice, elderly lady. They looked to me to be gingerbread cookies and I thought they were so unique! I served them at our BBQ and my niece said, “these cookies remind me of a movie!” Ha! She went on to say they looked like the cookies from Ace Ventura. How funny is that?! Good call, Ashley! She and her family also just moved here from South Florida, so our Georgia relatives are really growing in number. So glad to have y’all here, Ashley, Matt, Spencer and Sammy! I made them gluten free because my daughter can’t have gluten, but you would NEVER know that they are gluten free. They are so tasty! 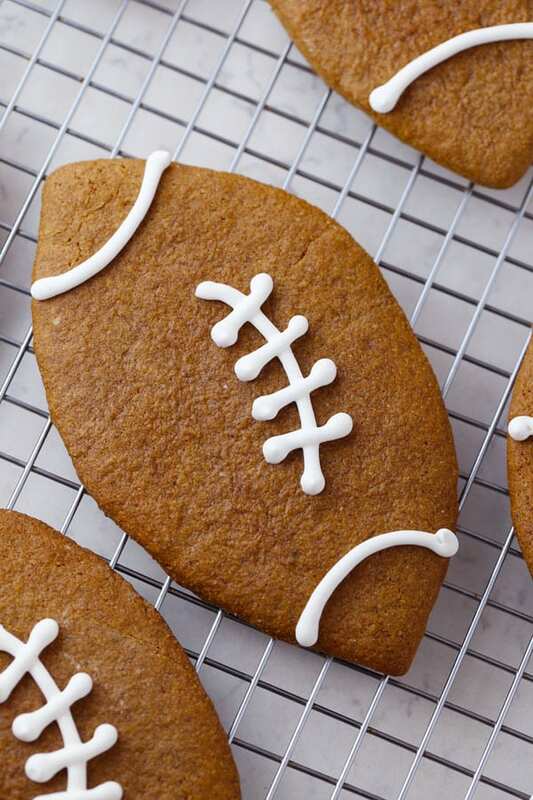 Total comfort food and the kitchen smells SO good when you bake these Football Shaped Gingerbread Cookies. I just love all the spices that go into the recipe – cinnamon, ginger, cloves and nutmeg. Such a heavenly aroma will fill your kitchen when you bake these goodies! Happy Birthday, Matteo! I hope you liked your cookies! 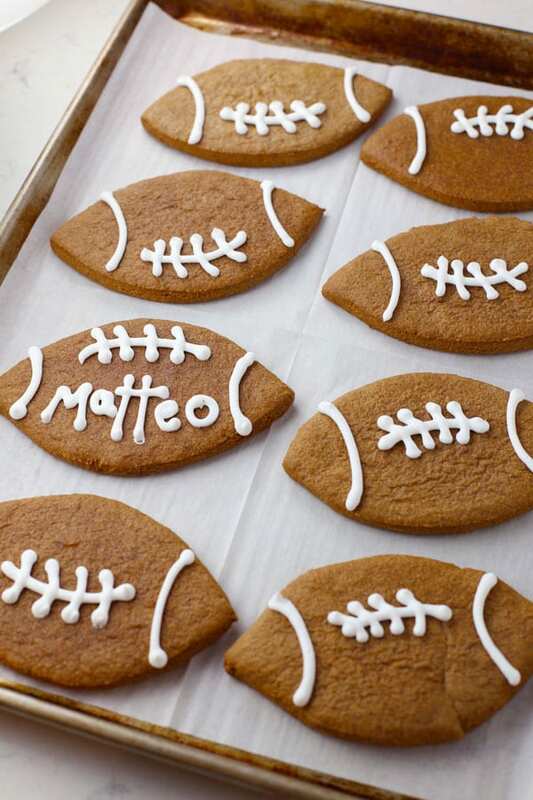 I hope you (lovely readers) will try my Football Shaped Gingerbread Cookies! 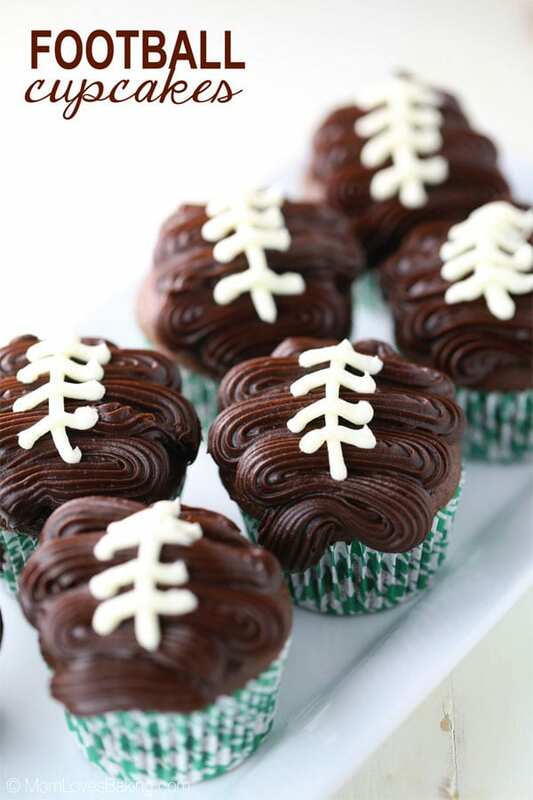 They’re perfect for football season and sharing with friends at your game day parties! Now you don’t have to wait for the holidays to make yummy gingerbread cookies and that’s definitely a good thing! If you’ve enjoyed this post, share it on social media like Facebook, Twitter, Instagram or Pinterest. If you make them, be sure to take a photo and share it on Instagram and tag @momlovesbaking! Thank you! 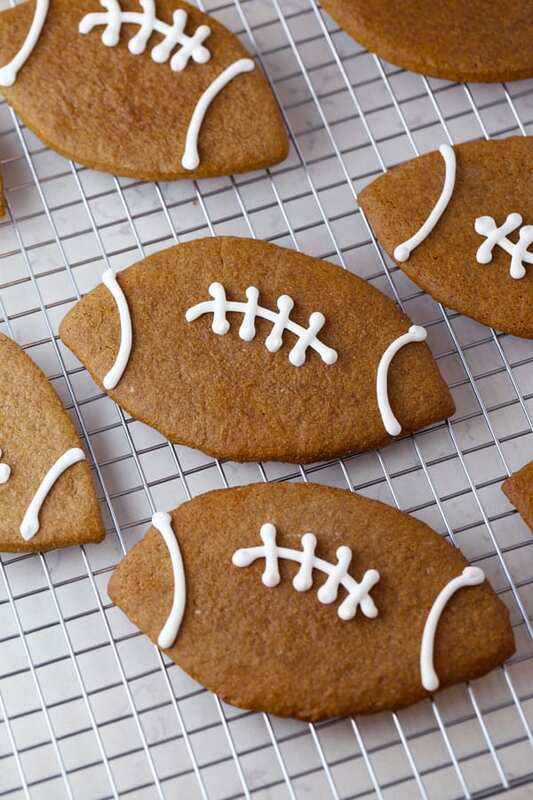 The classic gingerbread cookies shaped like footballs and also gluten free! Place all dry ingredients (except sugar) in a medium bowl and mix. Set aside. Place butter, sugar, molasses and eggs in a large bowl. Beat with electric mixer on medium until completely combined. With mixer on low, gradually add dry ingredients. Mix just until combined. Split dough in halves and wrap in plastic wrap. Place in refrigerator for at least an hour. Preheat oven to 375°F. Dust clean counter with corn starch. Knead dough for a minute or so on the dusted surface. Roll out to between 1/8" to 1/4" thickness, adding a little more corn starch as needed. Cut into footballs using a cookie cutter or a homemade cutter made of cardboard about 3"x5". Place cookies on a parchment lined cookie sheet. I used 13"x18" half sheet pans and was able to fit 5 cookies per pan. Recipe makes 18-20 cookies. Bake for 10 minutes. Let cool, then frost with royal icing. Let the icing harden before serving (about 30-40 minutes). Place all of the icing ingredients in a large bowl. Mix on low for 6 minutes. Pour into a container with sealed lid until ready to use. Icing will be thick. Add a few drops of water to thin it out a bit. It should be the consistency of toothpaste. Note: This icing dries out quickly, so you always want to keep it covered. Place frosting in a pastry bag fitted with a small round tip such as a #6. Pipe the lines and laces onto the cookies to make them look like footballs. Let the icing dry before serving. Store in an airtight container for up to a week. Store leftover icing in an airtight container for a few weeks. I love this. 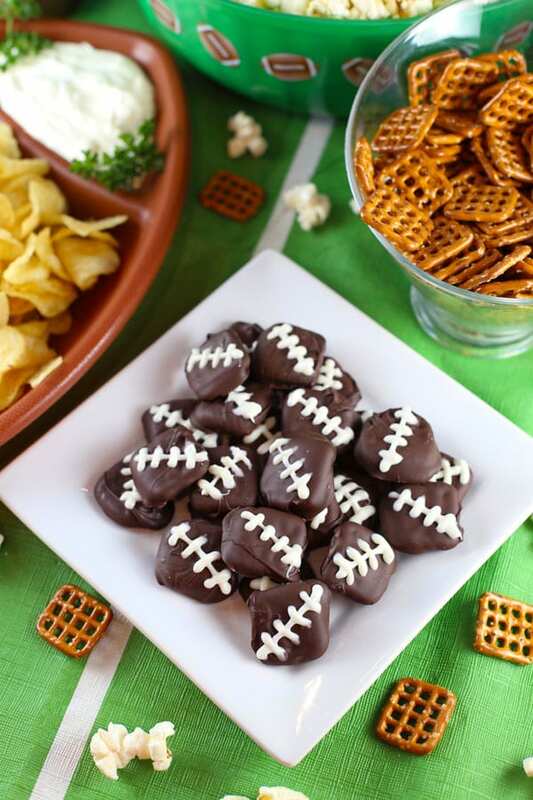 Super bowl ideas!